Jeep is known for manufacturing vehicles that are adventure-ready. 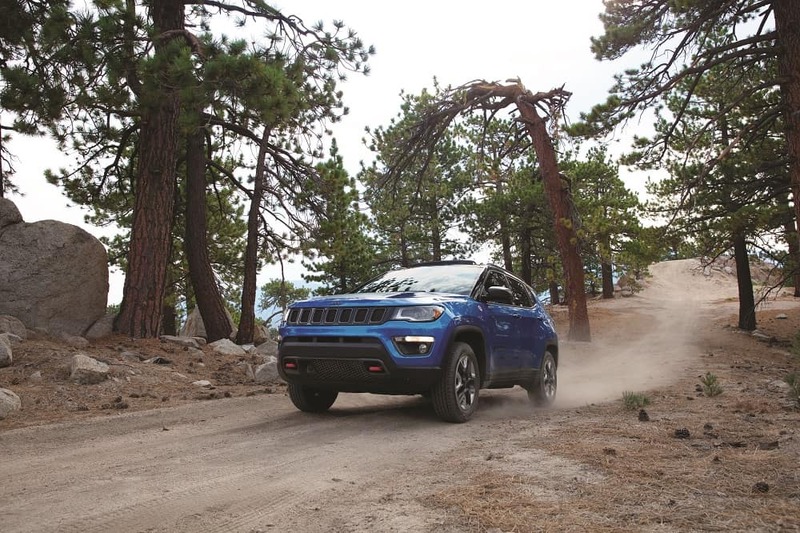 No matter what kind of adventure you’re heading out on in the Plantation area or beyond, you can count on the 2019 Jeep Compass or the 2019 Jeep Cherokee to get you there. In this comparison of the Jeep Compass vs. Cherokee, we at Massey Yardley CDJRF will show you what these two models have to offer and how they compare when it comes to performance, interior space, and extra features. Read ahead to see which Jeep SUV is the best fit for your needs. Then contact us to schedule a test drive! The powertrains of both models can be paired with one of several intuitive 4×4 drivetrains which makes off-roading and trekking through difficult weather a piece of cake. As you can see, both models offer enough room for both passengers and cargo. However, the Compass prioritizes cargo a bit more while the Cherokee stays focused on passenger comfort. Inside both the 2019 Jeep Compass and the Jeep Cherokee, you’ll find an incredible lineup of convenient and enjoyable features. Both models offer up a handful of infotainment features including an available Uconnect® 4C NAV system with an 8.4-inch touchscreen and a variety of helpful features. With this system, you’ll get Bluetooth® connectability, smartphone integration via Apple CarPlay™ and Android Auto™, turn-by-turn navigation, and several handy SiriusXM® features. SiriusXM® provides you with satellite radio as well as remote access via the SiriusXM® Guardian™ App as well as traffic and weather updates. We hope you found our comparison of the Jeep Compass vs. Cherokee to be useful. As you can see, whether you decide to go with the Compass or the Jeep Cherokee, you’ll be behind the wheel of one incredible vehicle. Get a closer look to see for yourself which of these models is the best fit for you by taking a test drive with us at Massey Yardley CDJRF. Shoppers in the Plantation area can schedule a test drive today by giving us a call at the dealership! 1 EPA estimated mpg with 2.4L engine and 6-speed manual transmission, 4×2. Actual mileage may vary. 2 When equipped with Trailer Tow Group or Trailer Tow Prep Group. See dealer for details.